Reference Subwoofer Performance Hits New Lows. Video: SVS President Gary Yacoubian Discusses 3000 Series Subwoofers. Flat edge wound split-wind voice coil within the motor assembly provides effortless, on-demand power at the highest excursion levels, while reducing mass and improving overall driver efficiency. The result is room-shaking output with amazingly precise response when the music, movie or other content demands it most. Dual ferrite magnet motor assembly weighing nearly 25lbs generates massive amounts of current to produce extreme driver excursion with precise control for the deepest, most accurate and authoritative bass possible from a 13-inch driver. Lightweight and rigid aluminum vented cone with composite fiber dustcap generates massive output with pinpoint accurate frequency response. Long-throw parabolic surround and proprietary injection molded gasket ensure longevity and allow extreme excursion for room-energizing bass. Sledge STA-800D2 Amplifier – Massive Power with Precise Control. Conservatively rated at 800 watts RMS, 2,500+ watts peak power, the Sledge STA-800D2 amplifier maximizes the full potential of the 13-inch driver with effortless power and absolute control. The innovative design combines the efficiency of a Class D amplifier with the ability to move colossal amounts of current through the fully discrete MOSFETs for outstanding real-world subwoofer performance at all drive levels. High Current Output of Fully Discrete MOSFETs with Efficiency of Class D Amplifier allows the Sledge STA-800D2 amplifier to move massive amounts of current through the fully discrete MOSFETs enabling immense output with surgical precision. Sophisticated 50Mhz High Resolution Analog Devices Audio DSP is the most advanced digital processor ever used in a subwoofer and maintains pinpoint accuracy and pristine sound quality through advanced in-room tuning, optimized frequency response curves, powerful DSP controls and more. 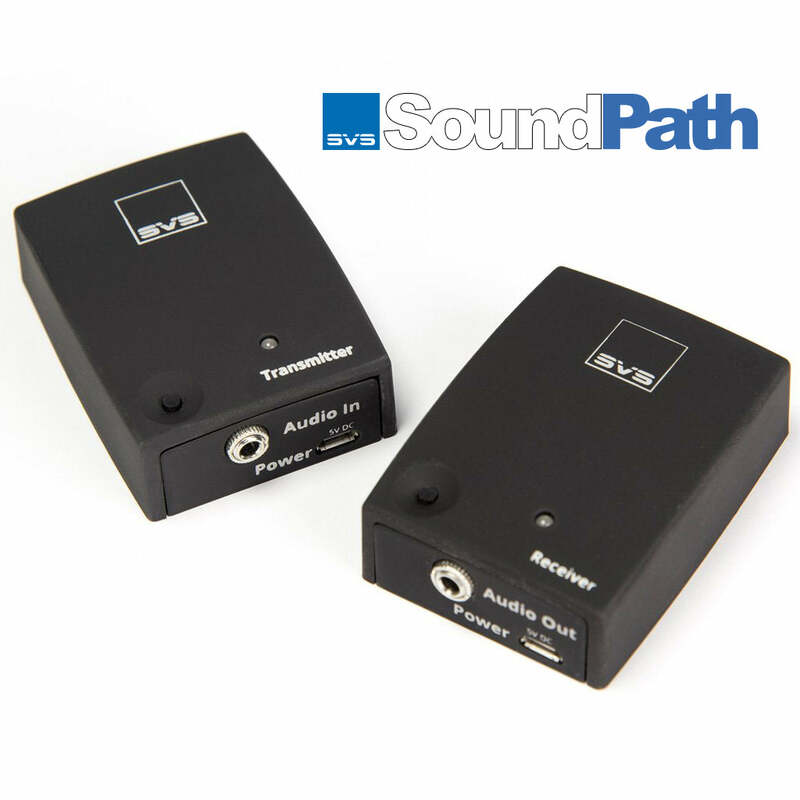 SB-3000 Smartphone App – Easiest Way Ever to Manage Subwoofer DSP and Control. 3000 Series subwoofer app is the most convenient way ever to control volume, access multiple DSP functions and program custom presets for one-touch tuning optimized for music, movies, gaming, and more. Adjust crossover frequencies, a three-band parametric EQ, polarity, room gain and more, all from your favorite seat. The SVS subwoofer app also allows advanced customization so you can name your subwoofer for easy preset switching, choose the subwoofer standby mode and reset the subwoofer to factory settings. Bluetooth connectivity allows full control, even when the subwoofer is out of sight and bi-directional feedback shows adjustments in real time on both the app and rear panel subwoofer interface. 3 custom presets can be saved for movies, music and more so you have one-touch tuning optimized for your listening preferences. 2-way feedback shows updates in real time on both the app and rear panel subwoofer interface. Acoustically Inert and Rigidly Braced Sealed Cabinet Design. Double-thick MDF front baffle and extensive internal bracing in the acoustically optimized SB-3000 Series cabinet create a resonance-free environment that serves as a blank canvas for uncompromised subwoofer performance. Acoustic insulation eliminates all coloration or resonance from the cabinet, even when the deepest low frequencies are played at reference volume. Includes protective, non-resonant steel mesh grille and custom elastomer feet for reducing noise artifacts within a room. All New Proprietary 13” high-excursion SVS 3000 Series Subwoofer Driver. SVS first flat edge wound split-wind voice coil provides maximum magnetics at high excursion while reducing mass and improving overall driver efficiency. Built around a premium grade 2” polyimide impregnated fiberglass former for maximum thermal conductivity. Four balanced 24-strand silver plated Litz wire high temperature leads woven through the 6.5” 2-ply Nomex composite spider provide a pristine electrical connection from the amplifier to the voice coil. All new 13” 1050 Aluminum vented cone ensures a light, rigid, and neutral radiating surface. Extreme oversized low carbon vented 1008 steel U-yoke and top plate provide superior cooling and improved magnetics for maximum performance and efficiency. 6063 Aluminum shorting sleeve reduces gap induction and distortion, enhances thermal conductivity, and improve magnetic linearity. Proprietary injection molded gasket and SBR extreme-excursion surround maintains ideal pistonic motion for pinpoint accuracy and control. Massively powerful Sledge 800-watt continuous Class D design with 2,500+ watts of Peak Power. High efficiency cool-running Class-D switching topology with massive 25 Amp 600 Volt MOSFET’s result in lower EMI and highest efficiency while providing effortless power to produce SPLs and low frequency output with pristine clarity well beyond reference listening levels. High resolution 50Mhz Analog Devices Audio DSP with double precision 56bit filtering is the most advanced subwoofer processor available for perfect audio reproduction. Unmatched intelligence from user adjustable low pass, phase, polarity and room gain compensation with three parametric EQs for absolute best alignment with speakers and optimized performance in any room. RCA stereo input/output with ultra-wide input voltage for consumer and professional audio applications. All new rear panel Intelligent Control Interface (ICI) user interface with bright back-lit controls. Input impedance 16kohm (unbalanced RCA). Green 0.5-watt low standby power consumption. RoHS compliant, lead-free construction, world-wide safety certifications. "SVS has indeed managed to put the virtues of its flagships into a very compact and affordable subwoofer. Exemplary precision and transient response, it has what it takes to make even audiophiles salivate over a subwoofer. Those who mainly listen to music and watch concert videos will especially love the SB-3000." "Maintained composure even when pushed for extended periods. Capable of playing far louder than I was comfortable listening, it’s amazing the amount of air this thing moves given the size. Literally shook rafters in rooms which are not designed for punishing sound playback. Recommended and well worth the asking price!" "Maintained composure even when pushed for extended periods. It’s amazing the amount of air this thing movies given the size. Literally shook rafters in rooms. Well worth the asking price!" Inspired Engineering for Immensely Deep and Powerful Bass with Pinpoint Control and Accuracy. The new SVS 3000 Series technology ecosystem features important breakthroughs from the 16-Ultra Series and 4000 Series, the most awarded subwoofers in existence. This technology joins with exclusive 3000 Series innovations to set a new standard for subwoofer performance value. More people than ever can now enjoy room-shaking bass below the threshold of human hearing with revealing clarity and pinpoint accurate frequency response. Click the callouts to learn about 3000 Series subwoofer technology. Unrivaled subwoofer output and deep bass extension for the price with control and accuracy. PB-3000 features first-ever 13” SVS driver, 800 Watts RMS, 2,500+ Watts Peak Power Sledge Amplifier. The above products are often considered when someone is evaluating the SB-3000.